Dell claims their Portable Thunderbolt 3 SSD is one of the most compact and fastest in the world. 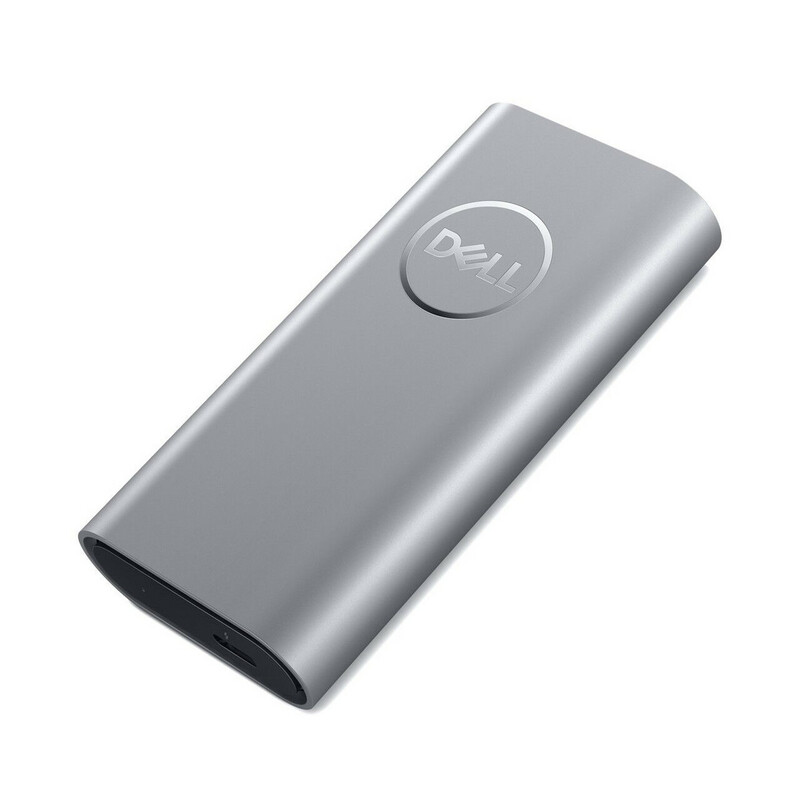 Dell has announced a compact TB3-based portable SSD that should deliver transfer rates up to 2650 MB/s. It won't come cheap, however, as the 500 GB and 1 TB models will retail for US$439 and US$799 respectively. If you need fast, high-capacity storage, no flash-based drive can come close to what SSDs offer. Samsung's T3 and T5 portable SSDs were some of the first to hit the market and remain decent options, but they are limited to USB 3.1 Gen 2 speeds (around 500 MB/second). Small external connectors for m.2 drives have long been available on Amazon or eBay, but they lacked support for faster PCIe SSDs. There have been no highly portable TB3-based external SSDs — until now, that is. Dell claims at the time of launch that its new portable SSD line, imaginatively named the Dell Portable Thunderbolt 3 SSD, is "the world's most compact Thunderbolt 3 storage device", measuring 3.89 x 0.75 x 1.89 inches. In addition to its svelte size, the SSD also boasts speeds up to 2650 MB/second. Given the dimensions and transfer speeds, it's likely that the enclosure contains some kind of m.2 NVMe interface connected to a standard NVMe SSD, meaning that, in theory, the drive should be removable or replaceable so long as the enclosure is not completely sealed. The Dell Portable Thunderbolt 3 SSD is available in both 500 MB (US$439) and 1 TB (US$799) capacities, and is slated for availability February 28 of this year.